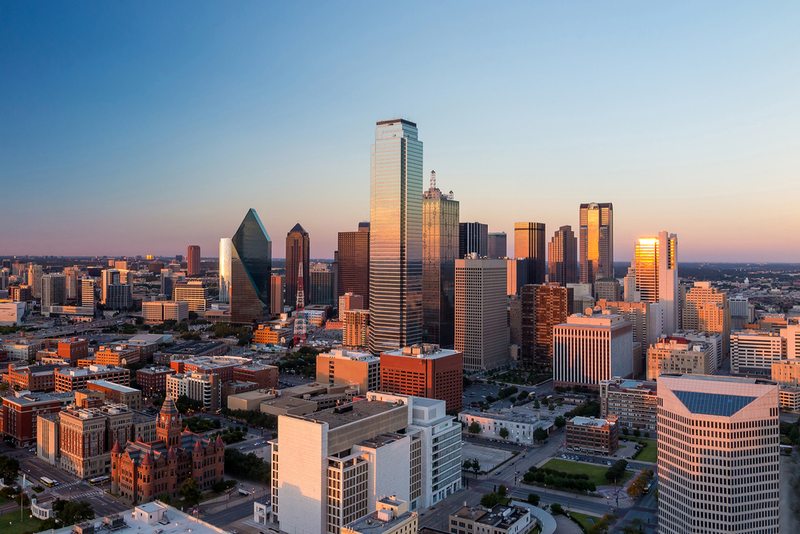 Dallas is a major city in Texas and is the largest urban center of the fourth most populous metropolitan area in the United States. The city proper ranks ninth in the U.S. and third in Texas after Houston and San Antonio. The city's prominence arose from its historical importance as a center for the oil and cotton industries, and its position along numerous railroad lines. The bulk of the city is in Dallas County, of which it is the county seat; however, sections of the city are located in Collin, Denton, Kaufman, and Rockwall counties.